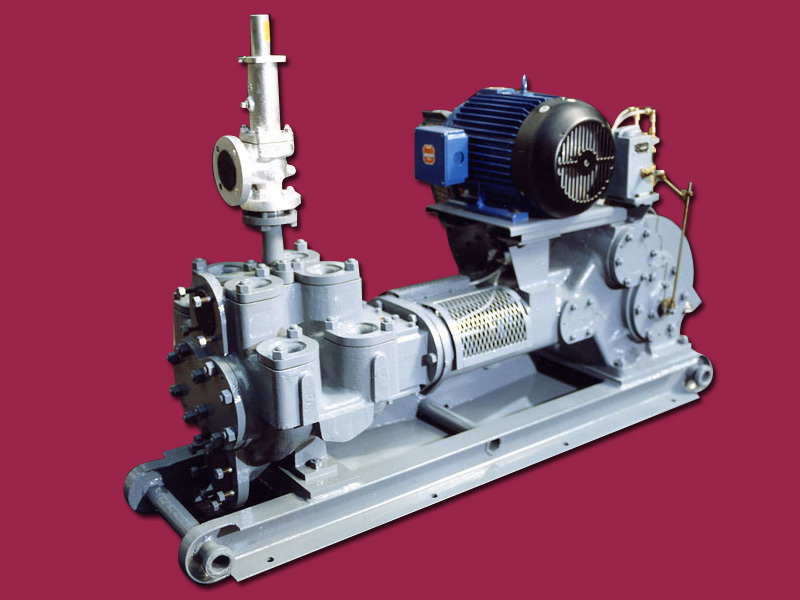 Dawson Downie Horizontal Duplex Crankcase Piston Pumps are designed, manufactured and tested in accordance with API 674 and the Hydraulic Institute Standards for oilfield and refinery service. The crankcase is of the totally enclosed dustproof type of robust construction and incorporating an improved design of splash-gravity lubrication providing for continuous running with minimum attention. Crankshafts are manufactured from high-grade carbon steel and run on heavy duty tapered roller bearings. Connecting Rods are in carbon steel and fitted with adjustable lead bronze bearings. 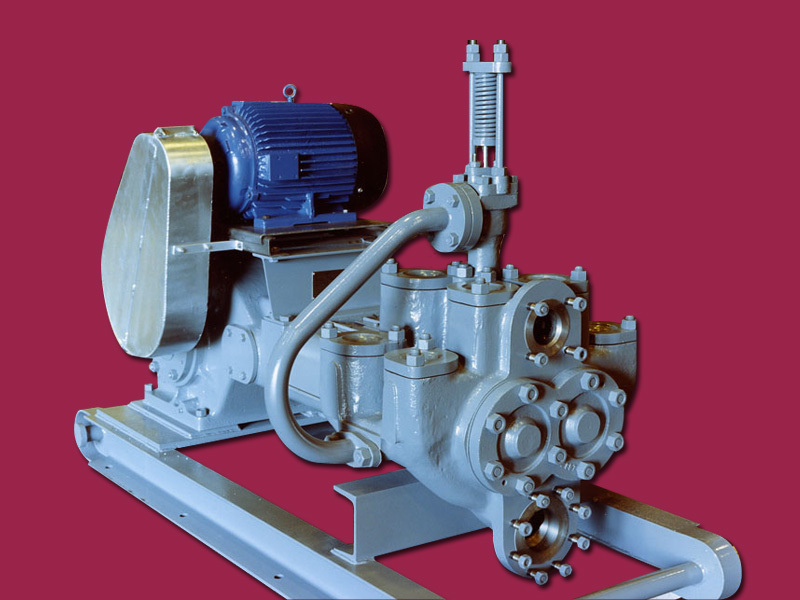 A specially designed splash-gravity lubricating system ensures an adequate supply of lubricating oil to all moving parts so that the pumps can run for long periods in remote areas with minimum attention. Liquid ends are available in various material options to ensure compatibility with the pumping medium. The liquid end design incorporates a generous corrosion allowance to ensure an extended life cycle. Valve service is of the wing-guided type operating in a taper valve seat with disc type valves for low NPSH requirements. 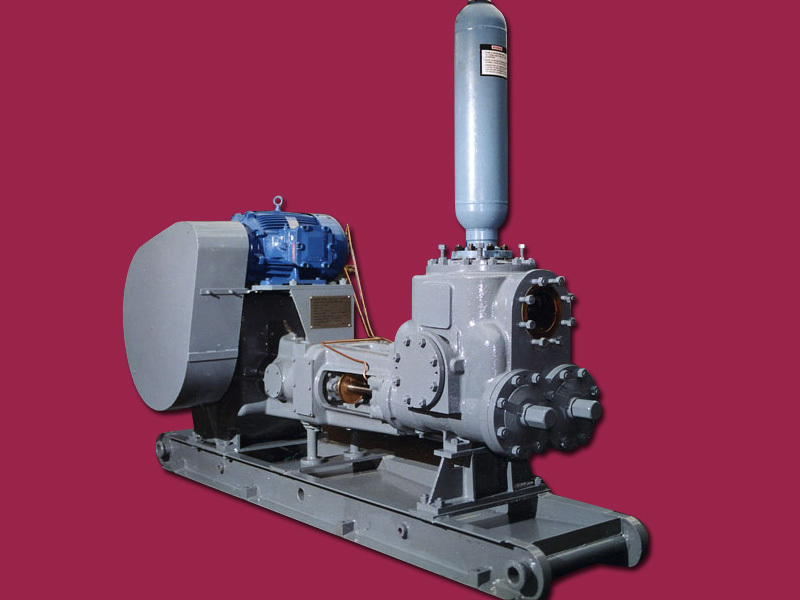 Pump flow can easily be altered by employing interchangeable pistons and liners of various diameters from within the range. Both design and dependability have been proven by thousands of working hours in arduous service. 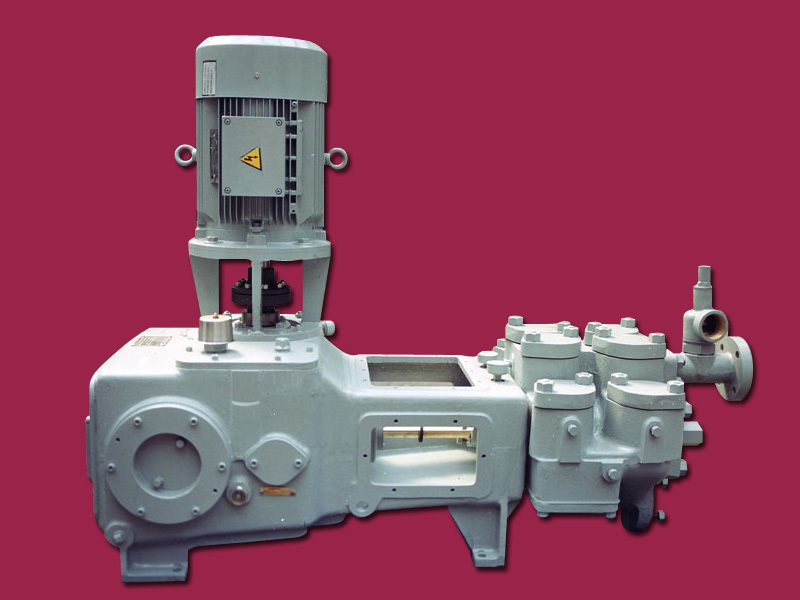 The pumps are driven through V-rope or other reduction gearing, by IC Engine or electric motor. The combined unit is mounted on a fabricated steel skid underbase for easy transport over rough ground.